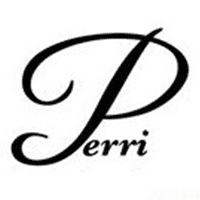 Perri Skin Care/Surgical Specialties always appreciates feedback from our valued patients. To date, we’re thrilled to have collected 2 reviews with an average rating of 5 out of 5 stars. Please read what others are saying about Perri Skin Care/Surgical Specialties below, and as always, we would love to collect your feedback. Would definitely recommend Perri skin care to anyone! Everyone in the office is so nice and friendly and the staff makes you feel very comfortable. Tracy is the best so friendly and truly cares about her patients. Very happy with my services every time I leave there! Had a very pleasant experience. Was well informed prior to my procedure. There was some time set aside for questions with answers provided. Very competent Team. Highly recommend to anyone in need of services.